The common reaction for novice kite surfers when they lose power flying the kite is to sheet-in, I mean that is right, you de-power by sheeting out so sheeting-in must give you more power? Well, it does in the right situations but a sudden sheeting-in of the bar can actually have the opposite effect, flaring the wing tip and stalling the kite. 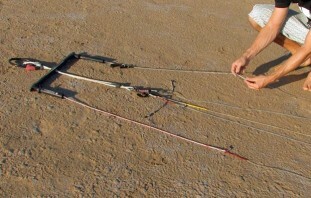 A kite needs to be moving, having air flowing over the canopy for it to react in a predictable way. If you’ve flown the kite incorrectly or hit a lull in lighter winds, causing it to slow down and stall, then sheeting-in will not cause some extra gear to kick in and have it rocket forward like a racing car. So if your kite is stalling, by tipping backwards in the sky, then actually what you want to do is sheet right out – it’s counterintuitive but works a treat. This allows all the tensions on the kite to go to the front lines, the kite can rock forward and air can start flowing over the canopy again and it will normally pop away from you, re-stabilise and you can gently sheet in a little to equalise tension on your lines. 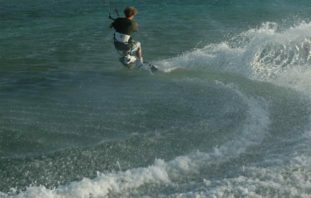 Better still, learn to anticipate the feel of your kite before it stalls, sheet-out pre-emptively and you’ll be able to keep the kite moving, power in the kite and maintain your board speed. If the wind is light or gusty, and you’re getting more confident with flying your kite, you can be more aggressive to right a severely stalling kite – reach up and grab the centre lines and give them a good tug or two. Just be prepared for the kite power up as the kite stabilises and always be prepared to pull your safety release if your kite gets out of control. 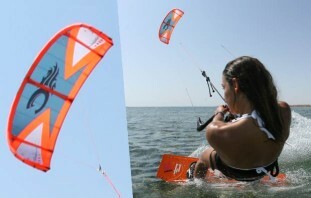 One last thing, if your kite is constantly reacting badly to bar control then it may not be rider error but something wrong with your kite setup. 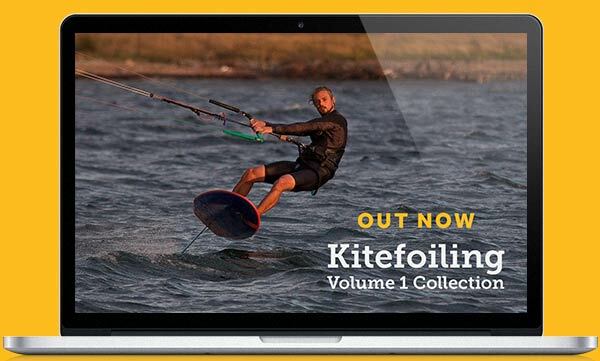 Checking out the Tuning video from our Intermediate Volume 1 Collection/DVD, an in-depth look at all the ways your kite can be tweaked to make it fly better. You can see a short clip from the Tuning video in our preview post – Don’t blame your kite, she might just need a little tuning. So watch out for a back stalling kite, fight the instinct to sheet in & save yourself from getting shouted out! Oh what a feeling - Carving Turns aplenty!